If there's anything the rest of the world should learn about us from movie-of-the-moment Crazy Rich Asians, it's that family means everything. According to new research from online travel agent Agoda, this trait carries over to our travel habits: seven out of 10 families globally take at least two family vacations a year, with Asian travelers taking more than twice as many family trips as their Western peers—five trips a year versus two). We love going on trips with our families, no matter what the circumstances (if pop culture is any indication, think Patay na si Hesus vs. National Lampoon's Vacation). 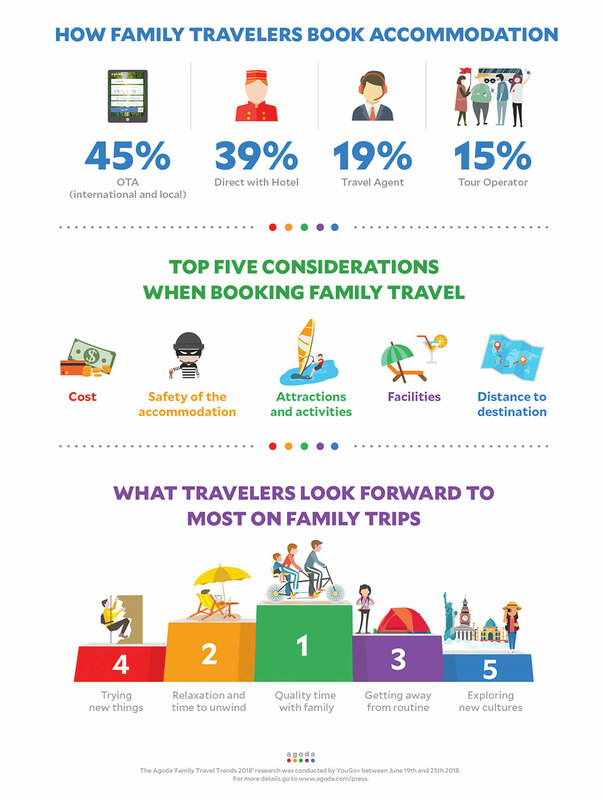 The Agoda Family Travel Trends 2018 survey, conducted by YouGov, found that 34% of travelers have taken more than five family trips in the past year. 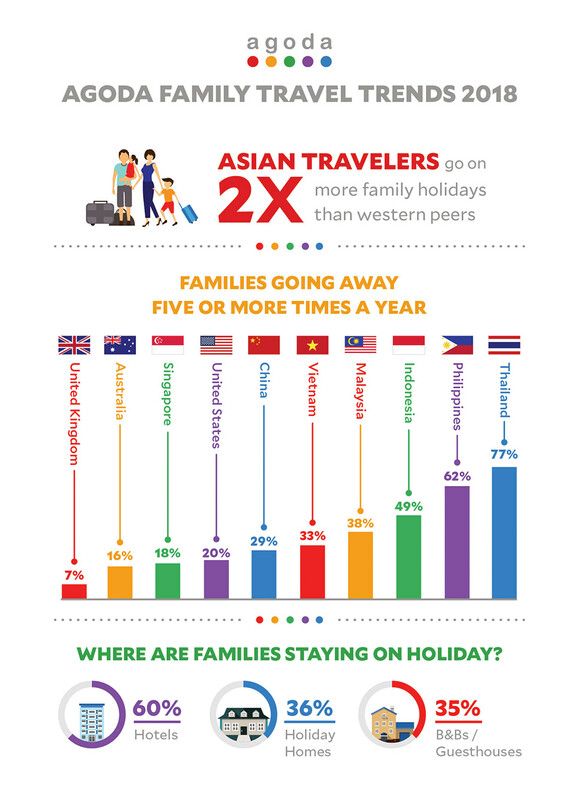 Asia dominates this multi-holiday trend with an incredible 77% of travelers from Thailand and 62% from the Philippines claiming to have taken five or more family vacations in the past year. Compare that to the 7% of British travelers took more than five family trips, or 20% of Americans. Unsurprisingly, it wasn't just immediate family that we took on vacations. For Asians, extended and multi-generational families (i.e., including grandparents, cousins, aunts, and uncles, etc.) are also more of a thing than for Westerners. 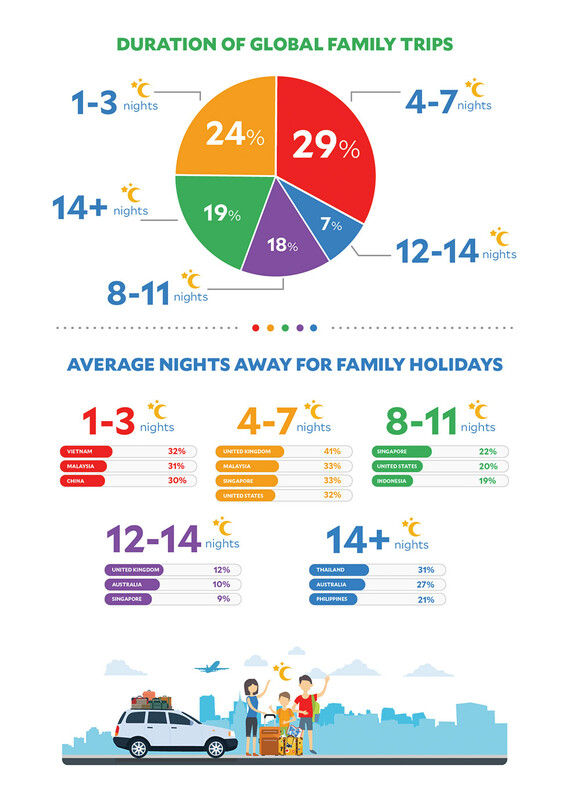 Thais (66%) and Indonesians (54%) were most likely to have included grandparents and other family members in their holiday plans, while travelers from the UK (13%) and Australia (20%) are the least likely to have done so. Here's something we all know: Filipinos think there's nothing more natural than traveling with friends, with almost half (48%) of travelers from the Philippines saying that they've gone on trips with group of friends. In comparison, only 22% of Americans, 23% of Brits, 26% of Australians and 27% of Chinese traveled with friends in the past year.